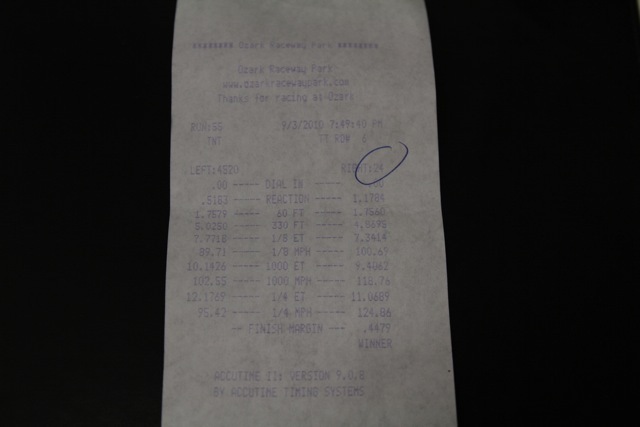 Drag car track results… 11.06 a New USA Record! Finally got the drag car thrown together. Two evenings to build the motor, intall it and tune on the dyno. Found lots of interesting things along the way. China Bosch -044, B205 Bottom end, twin disk clutch etc. More on that in another post. 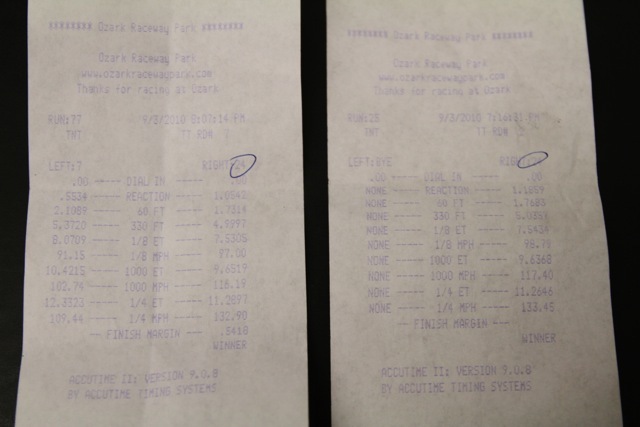 With a little less power than last year and still running that gt3071.64 first run out on the new clutch we ran an 11.26@133.4 Allright! Were on to something there. Track prep was not the greatest. We were slower to the 330 than average. 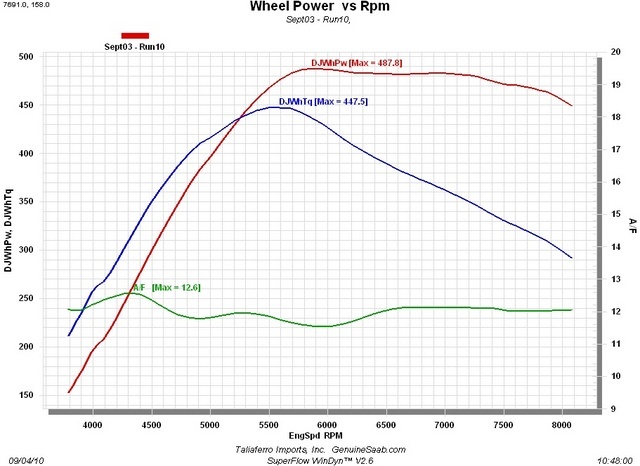 The lower compression B205 wants more turbo. For the shakedown figured it best to have a bit lower power and just get it sorted. The target was to get close to previous 11.33 best. The crank pulley 6mm bolts failed after that and we had to load it up. Got it fixed on the trailer this am. Ride along with the gopro. Other guy was messing with him on the light. He even bogged a bit off the line. 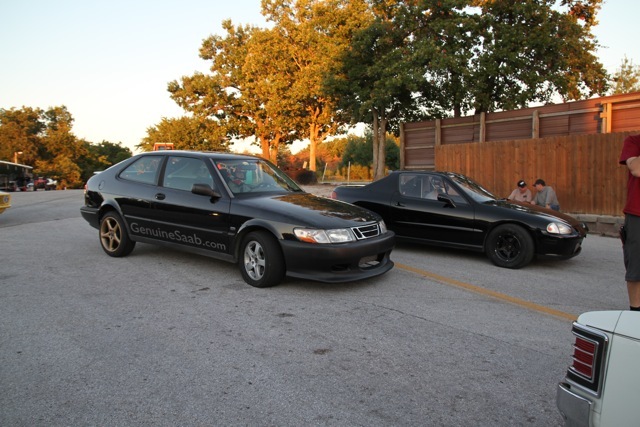 This entry was posted on Saturday, September 4th, 2010 at 1.21 pm and is filed under Drag 2.0L NG900. You can follow any responses to this entry through the RSS 2.0 feed. You can leave a response, or trackback from your own site.